The USO works in more than 200 locations and offers programs to keep service members connected to the people, places and things they love. 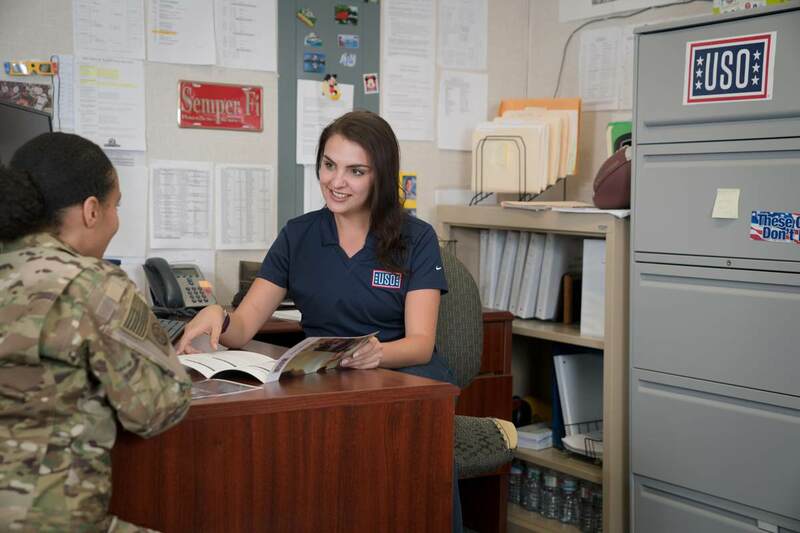 The USO creates and maintains strong connections between service members and their families, homes and country, no matter where they serve. 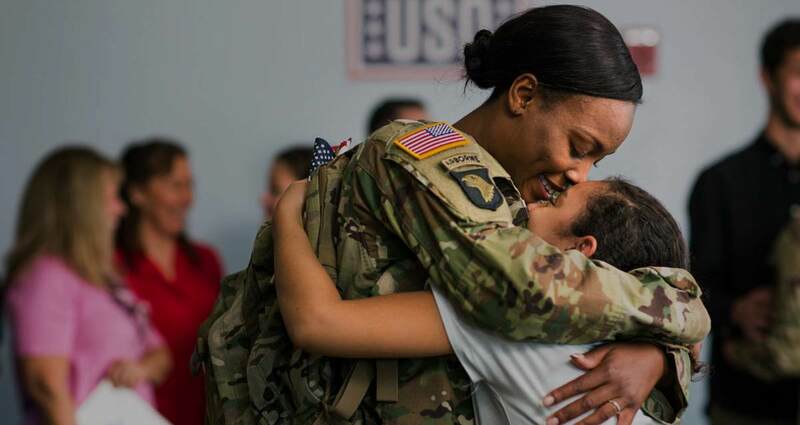 The USO expresses America’s gratitude and commitment to service members and their families through programs focused on connection, strengthening, wellness and resiliency. 3 million service members and their families participated in location-based programs this year. The USO delivers support to service members stationed abroad who are training in isolated locations or on arduous missions in remote parts of the world. Through expeditionary outreach support – including care packages, snacks, holiday celebration items and internet services provided throughout challenging deployments – we ensure service members stay connected to the people and places they love. 200+ locations in 7 continents. 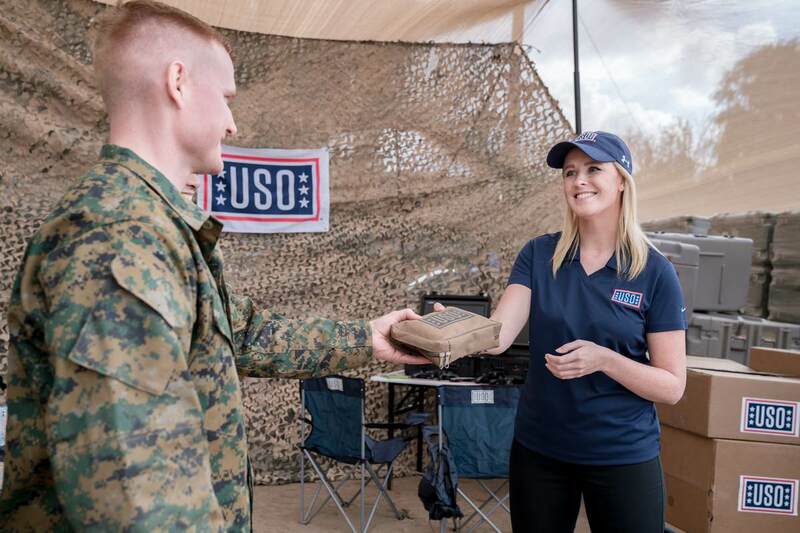 The USO brings celebrities to the doorsteps of service members and their families through a diverse range of activities like our trademark USO entertainment tours. By providing programs that focus on America’s culture and pastimes, we bring a grateful nation closer to them in times of separation and celebration. 330,000 served through entertainment tours. We provide resources for service members, veterans and military families throughout various transition points of their service. From the moment their military careers begin, through the completion of their service – through voluntary separation, the wounds of service or the ultimate sacriﬁce – those who serve, and their families, are supported with dignity and respect. 200,000 service members will transition into civilian communities each year.